Deck of Cards Workout: Quick, Full-Body and No Equipment Needed! Can’t see the video? 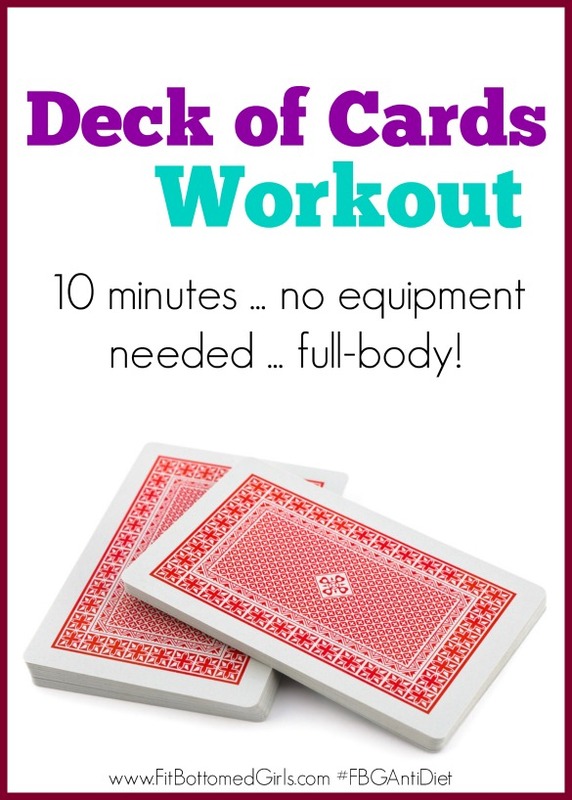 Click here to try the 10-minute Deck of Cards workout! If you’ve missed any of our series, be sure subscribe to our YouTube channel so that doesn’t happen again! Each week we share one of the 10-minute fixes from our book, and I don’t know a single mom that couldn’t use 10 minutes to treat herself to a healthy habit! Don’t forget to hit us up on social media with #FBGAntiDiet to share any of your anti-diet successes!